All aboard for the perfect summertime fun app for kids! The folks at Dr. Panda have a brand new app that’s not only fun, it’s sprinkled with educational tidbits 😉 This app is targeted to the 2-4-year-old age group and numbers and letters will pop up in transit for them to hear pronounced. 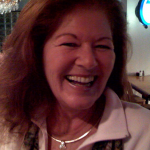 This is a good opportunity for parents to open a dialogue about all of the surprises available. Kids will happily take charge as the Conductors and stamp tickets, provide items of comfort to all passengers, and keep the train engine loaded with coal! There are three enchanting environments to travel through while picking up and dropping off both passengers and cargo. Imaginations can run loose as kids decide who is going where, who they are visiting, what they’d like to keep them busy on the train, and so much more. Dr. Panda apps have a setting in the Parent section allowing you to turn off the link to see other apps they have. You’ll see that it’s easily done in the first video. The lead game designer provided the answers for this and his name is Twan Mul.What was the initial inspiration for your app? We’d been working on several concepts that focused on delivering passengers and cargo. 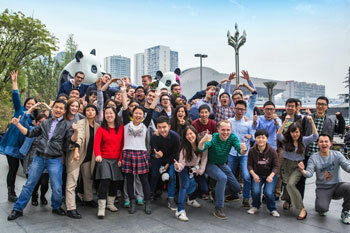 We’ve done Dr. Panda Airport, Dr. Panda Toy Cars and more. So, trains suddenly became the inspiration for our next app. 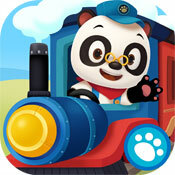 We’ve packed Dr. Panda Train with tons of fun and cute animations! Have you seen the camel with the sunglasses!? Some people have suggested that the game seems to be inspired by classic American western elements like cowboys and Indians. But actually when we were developing the game we originally only had one location in mind – the town with the countryside. But this didn’t really give the sense of traveling between different locations. Then, one of our artists created the ‘American western’ environment, all by themselves. We were so impressed! So we went with this and additionally decided to include the jungle too.